Warn you, the food is not cheap but all were very tasty. For me, it was worth every dime. 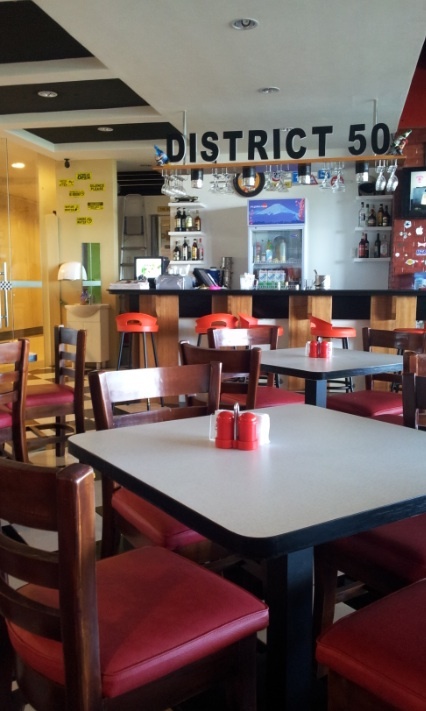 We were in a food trip mode when we came across District 50 and did not mind the budget. 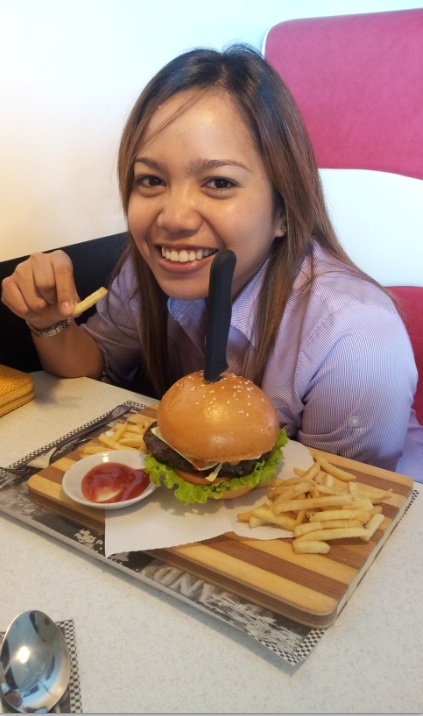 I ordered the delectable Hawaiian burger as I always love pineapple in my food and paid Php199 only. My friends ordered Chamesca pasta and Tangy Chicken. Both cost less than Php200 too. Chamesca pasta is pasta mixed with sardines in tomato sauce and olives. Tangy chicken is sweet and comes with rice or mashed potato. I am especially amazed at how Tangy Chicken was presented on a plate. Check out the picture here. Yumyum! Writing about it makes my mouth water.